The act of Force-placing insurance is a long-standing practice that is otherwise legal. Depending on the terms of a mortgage contract or deed of trust, a bank or mortgage servicer may impose homeowner’s, hazard, flood or wind policies under what they consider their mortgage servicing rights on a borrower’s property if they have failed to maintain insurance as required by the terms of the mortgage or deed of trust. However, a growing body of evidence indicates that banks and mortgage servicers are using this ability as a way to enrich themselves at the expense of borrowers, many of whom are already facing serious financial hardship. Investigations of the force-placed insurance market (sometimes called lender-placed insurance) conducted by regulators in several states have revealed a number of questionable practices, including unexplained lump-sum payments from insurers to banks; profit-sharing reinsurance agreements that enrich bank affiliates; and large insurance commissions paid to bank-affiliated insurance agencies that employ no agents. On January 16th, the Consumer Financial Protection Bureau announced new rules that require mortgage servicers to give borrowers more notice and price information before they force-place insurance. However, some critics charge that the new rules do little to curb the most damaging practices, including the payment of commissions (some would say kickbacks) insurers pay banks for their business. Consumer advocates claim these payments act as incentives for lenders to impose needlessly expensive policies on borrowers. 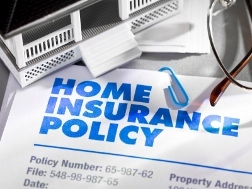 A growing number of consumers have filed lawsuits alleging lenders improperly force-placed high-premium insurance policies on homeowners across the U.S., in many cases for coverage well above the amount required by their mortgage contracts. Lenders have also been charged with receiving kickbacks from insurers and their affiliates, some of which were even owned by the banks. 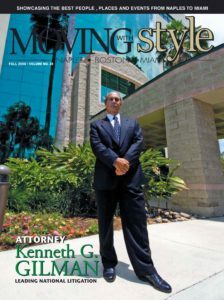 In November, the consumer protection law firm of Gilman Law LLP entered an appearance on behalf of a plaintiff in a force-placed insurance lawsuit against CitiMortgage, and successfully defended against a Motion to Dismiss, as well as a Motion for Sanctions the bank filed against the plaintiff for proceeding with her lawsuit. The plaintiff, who claims she was the victim of CitiMortgage’s predatory force-placed insurance practices, had been forced to pursue a pro se action against the bank. In rejecting both of CitiMortgage’s motions, Judge Spencer Eig of the Eleventh Judicial Circuit of Miami-Dade County, Florida, allowed the claim against CitiMortgage to proceed with the assistance of Gilman Law LLP (Case No. 11-185185-CA). Individuals who have been charged for force-placed insurance policies, including homeowners, hazard, flood and wind policies, should contact Gilman Law LLP immediately to discuss their legal rights and prevent their claims from being time-barred by their state’s statute of limitations. 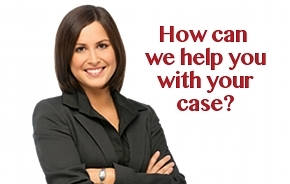 To learn more about your legal options, please fill out our online free consultation form, or CALL TOLL FREE (888) 252-0048.